The second-most common mistake made by people selling a home is that they set their asking price too high. This stems from an ignorance of how homes are sold on the internet and it ends up costing them a lot of money. The fact is that the buyer most likely to pay the most money for a home is the first one that comes to see it. Why? Because neighborhoods have stalkers. People who want to live in the neighborhood but have not yet found the right house. Often times, these stalkers have made offers in the past and failed to get a home, so they will not make the same mistake when the right home hits the market. If your home is the right one, they will make a very strong offer and likely be willing to "fight" to get your home. But only if your home is a good value (and this is why you have to be priced correctly). With all this being said, you might find it strange that today's article involves a situation that I occasionally see from sellers and real estate agents who don't understand the internet. And why is the internet important? Because 94% of home buyers are using the internet to find their home, so your real estate company better "get it." The more people who want a home, the better chance one has to get top dollar when it comes time to sell. As the image below shows, there are more people who can afford a lower priced home than there are that can afford a higher priced home. So does this mean that lower is always better ... no. 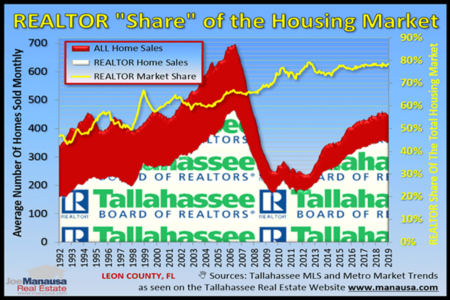 But there is a specific value for each home that will attract the best and largest buyer pool in order for the seller to create a competitive environment that will result in the highest sales price possible under current market conditions. Most home sellers are worried about "leaving money on the table," so they ignorantly choose a higher price (which results in a smaller buyer pool that typically excludes the stalker that is likeliest to pay the highest amount. Over-priced sellers usually get ignored by the market. But even home sellers who have correctly hit the right initial asking price sometimes make a mistake that reduces the size of their buyer pool, and this is never good. While it won't chase away the stalker in the neighborhood, it will chase away some of the buyers that could get the stalker into a bidding war. 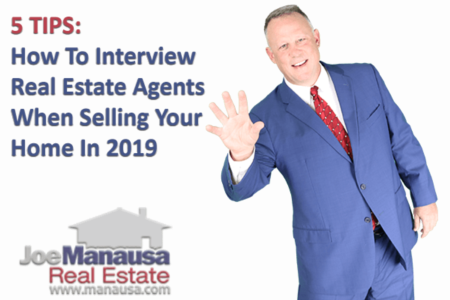 Sellers who want top dollar need to attract more than one buyer in order to create a competitive environment that causes the top buyer to spend the most. I'm not sure what industry started "charm pricing," the practice of changing a whole amount to an amount one cent (or dollar) less. For example, instead of something being price $100, it is priced as $99 dollars. This psychology of pricing is a practice that has proven to create higher sales, as the "lower price" perceived by buyers might produce increased demand. But one has to understand more than just the psychology of buyer behavior, there is also the mechanics of shopping that comes into play. In real estate, almost EVERY buyer is using the internet, and studies have shown the first thing buyers do to reduce the number of homes available in their desired location is to use a range of prices to eliminate all homes that are definitely not for them. This range is broad at first, but becomes much tighter as the buyer gets closer to making a decision. Regardless of their time frame, buyers NEVER use a range that includes psychological pricing practices at the lower end. They do not search from $329,999 to $360,000, they search $330,000 to $360,000. The same is true with every range ... there are no nines in their lower end. If your home has been priced with a nine, it's time to raise your asking price by a dollar. Because if your listing agent has recommend a price that includes psychological pricing practices, then your agent does not understand how buyers are going to try to find your home. Your agent DOES NOT GET IT. And you need to get a new agent. Using the example above, a buyer who searches $330,000 to $360,000 is hoping to find a value at the lower end of the range. Let's say that your home is perfect for this buyer, but your agent recommended a price of $329,999, then your home will not appear in the search for this buyer. The same is true for $329,000. There are no "magic numbers" for pricing, and there is no psychological practice when it comes time for a computer search. Make no mistake about it, the best buyer for your home will be doing a computer search on the internet. 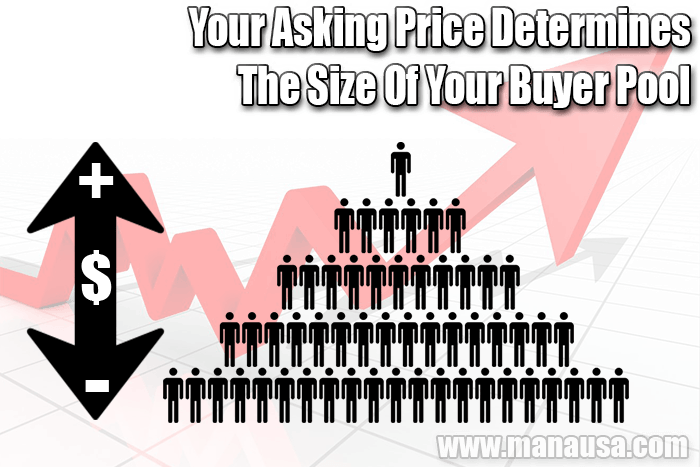 Make sure you have a well rounded price that will maximize the number of buyers that find your home online. Generally speaking, a lower price will serve you better than a higher one, but only rounded to the nearest search dollar. This is just one small example of why you must hire the best internet marketer if you want to get top dollar for your home. Agents who have not taken the time to become online marketers will rarely net you the same amount of money for your home because they do not know all of the tricks of the trade that can be used to help you online. If you'd like to know more about how we market your home online and generate a huge buyer pool, just drop me a note and we'll be in touch right away.